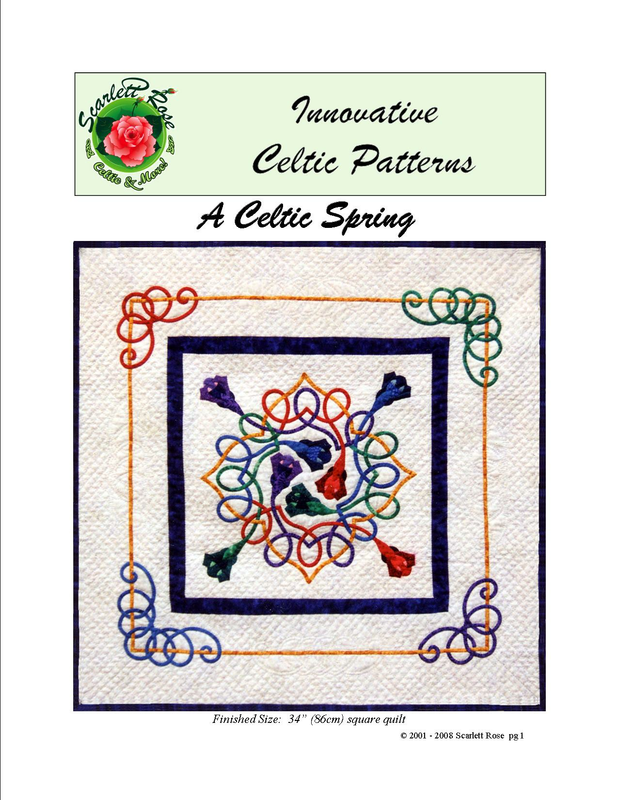 This 34" wallhanging pattern features the Celtic Rose block design by Scarlett Rose. 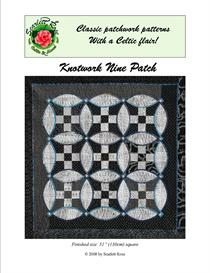 The wallhanging was made by Judy Cascarina, who combined several of Scarlett's Celtic designs into this one quilt. 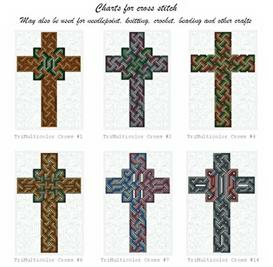 There is a full size template for half of the central block, along full size templates for the corner designs. 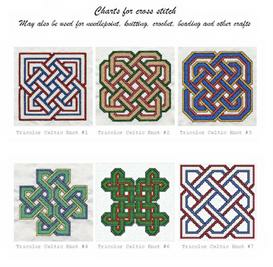 Instructions and layout diagrams are included. 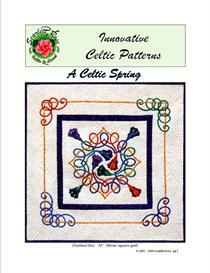 The corner knot patterns are also available in Scarlett's second book, Baskets: Celtic Style.